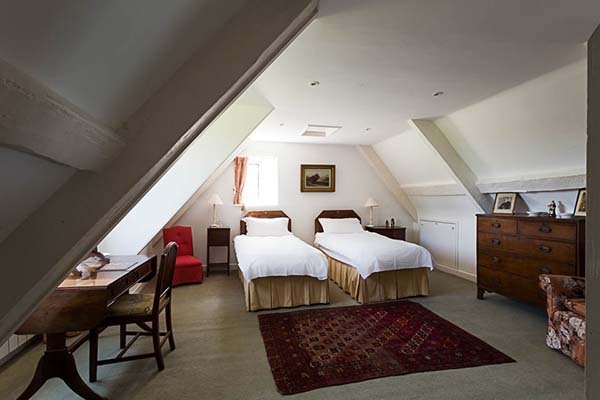 On the top floor, there are two separate attics, with five comfortable and smart bedrooms. Peveril - a large twin bedroom with newly added en-suite bathroom. 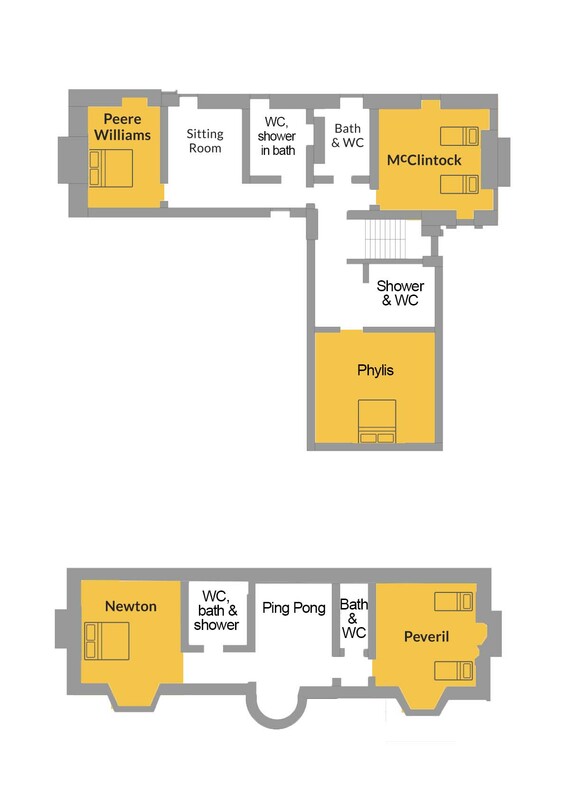 Newton - a super king or twin bedroom with separate bathroom (bath plus hand shower and separate shower). There is also a large anteroom with a Table Tennis table. 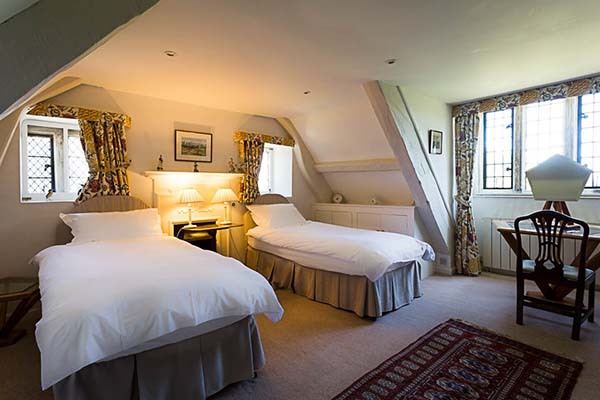 Phyllis - a newly refurbished double room, with en-suite shower room. Please click on the yellow areas on the interactive plans below to see images of the individual rooms throughout Cadhay. 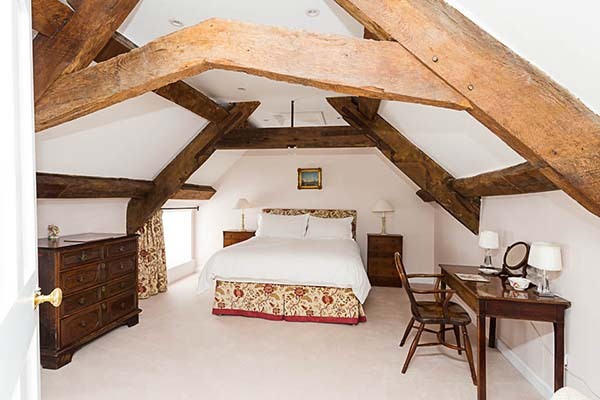 Peere Williams, super king bedroom, with a private sitting room and a bathroom (bath/shower). A twin bedroom, McClintock, with its own bathroom. 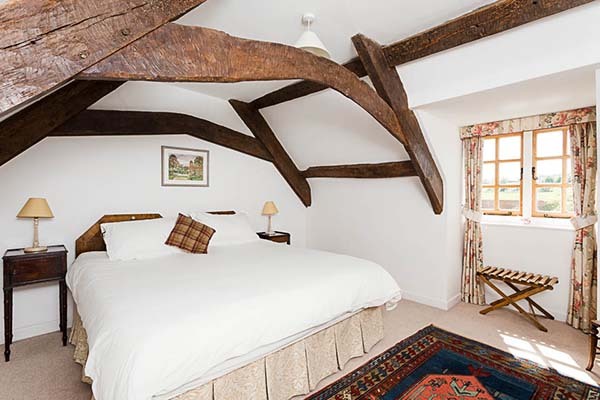 Large super king or twin bedroom, with gorgeous views over the garden. Twin room with a recently added en-suite bathroom. 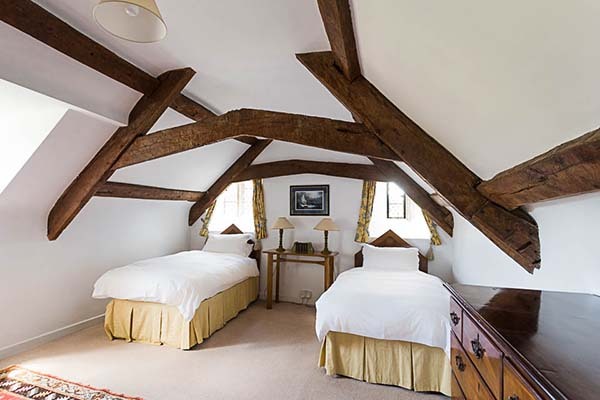 A newly refurbished double room, with en-suite shower room.